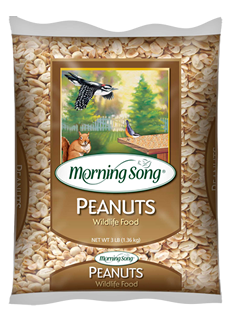 A treat for nut-loving birds and critters alike. Birds like woodpeckers, jays, titmice and nuthatches love a good peanut and you’re sure to attract a chipmunk or squirrel. For use in hopper or platform feeders.